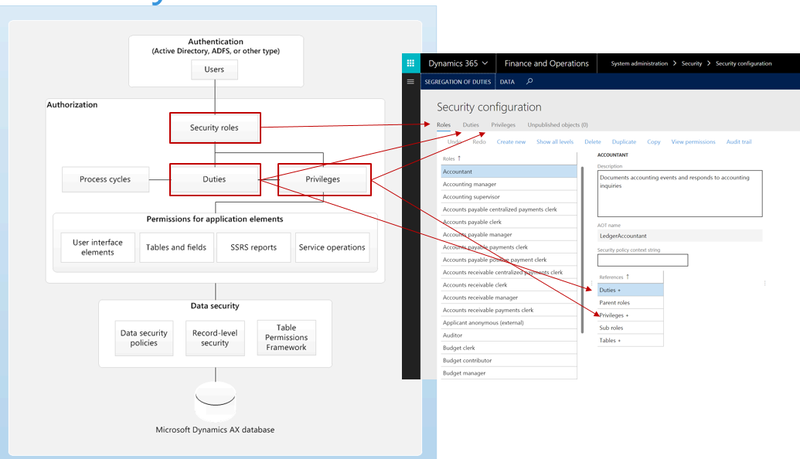 In this blog, I have covered some tips and tricks supported for D365 in Visual studio. While debugging code we have frequently hover over data tips in order to see the values contains in variables. 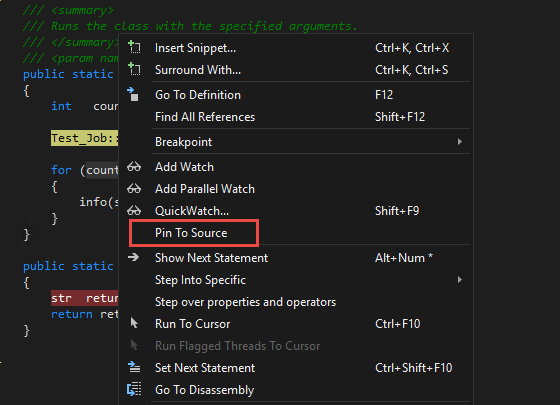 In VS we can pin the data tip for the variable to give our-self quick access. To pin the data tip, click the pin icon while hovering over it. You can pin multiple variables. First way to pin is to select your variable and right-click it as shown in image. Second way to pin is to hover your variable click pin icon. If it is difficult or time-consuming to recreate a particular state in your app, consider whether the use of a conditional breakpoints can help. Right-click a break-point icon (the red ball) and choose Conditions. In the Break-point Settings window, type an expression. We can view variables values using debugger window. However, when a variable goes out of scope in the Watch window, you may notice that it is grayed out. 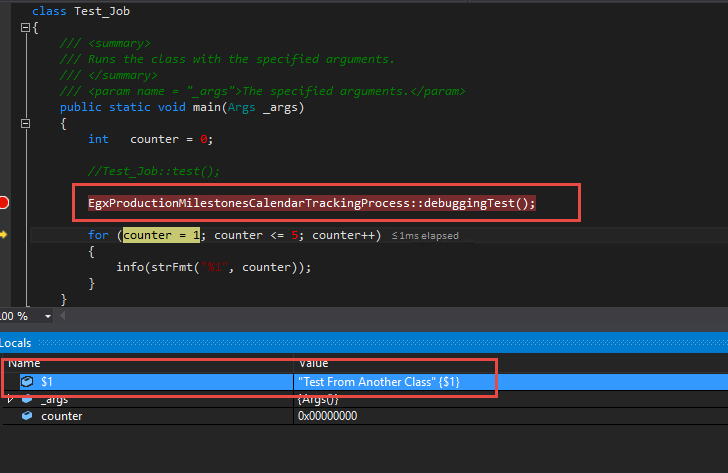 In VS we can track those variable by creating an Object ID for it in the Watch window. – Set a break-point near a variable that you want to track. – Stop your break-point at your variable. 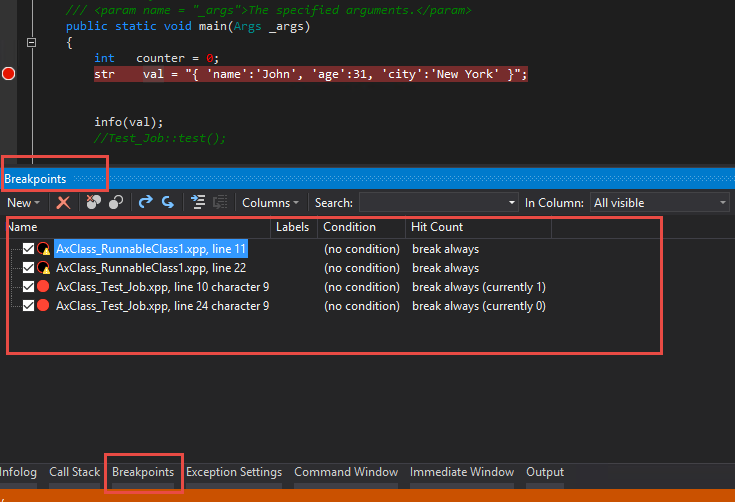 – Find variable in the Locals window (Debug > Windows > Locals), right-click the variable, and select Make Object ID. – Right-click the object ID variable and choose Add Watch. In order to view return values for your functions, look at the functions that appear in the Autos window to see the return value for a function, make sure that the function you are interested in has already executed. When working with strings, it can be helpful to view the entire formatted string. 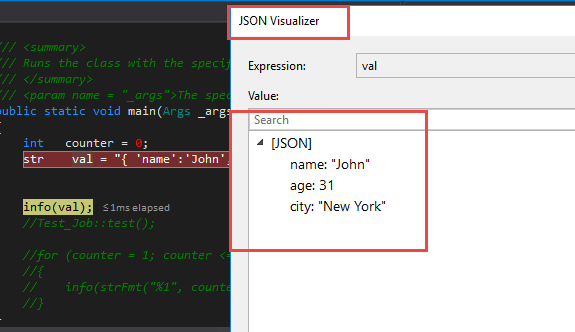 To view a plain text, XML, HTML, or JSON string, click the magnifying glass icon Visualizer Icon while hovering over a variable containing a string value. In VS when we set-up some breakpoints and now we need to switch one-off for as it’s getting hit too much but we will need it again for debugging. If we remove the break-point we’ll have to come back and find it again. So instead of removing the break-point we can use Break-point window. This window will show all breakpoints you have set but crucially lets you disable them without un-setting them by simply removing the check-mark. Check it again to re-enable it. The debugger breaks into your code on unhandled exceptions. However, handled exceptions can also be a source of bugs and you may want to investigate when they occur. We can configure the debugger to break into code for handled exceptions as well by configuring options in the Exception Settings dialog box. Open this dialog box by choosing Debug > Windows > Exception Settings. Also in the dialog box window you can search your relevant exception in which you want to break the code when exception occur.